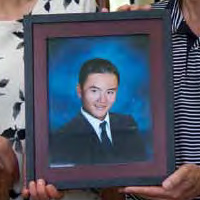 A tragic accident claimed the life of Daniel Song as he was about to graduate in 2008. Today, his parents celebrate his "bright light" with a scholarship that will encourage students to work toward their dreams. Daniel Song (BSBME '08) was the kind of person who "shone like a bright light, wherever he was," remembers Carol Handwerker, the Reinhardt Schuhmann Jr. Professor of Materials Engineering. Song passed away in 2008 after an automobile accident while traveling to participate in graduation ceremonies at the conclusion of his impressive educational career at Purdue. "He saw the value in his Purdue education and he took very good advantage of it," Handwerker says. "Daniel touched a lot of people in his very short life. We wanted to keep his memory alive forever, if possible, and inspire similar qualities in college students who are as equally driven to succeed." Among his accomplishments at the University was the Top Senior Design Team Award. In 2008, his team received the award for its design of a programmable tendon bioreactor. Song started conducting research after his sophomore year as part of the Student Undergraduate Research Fellowship (SURF) program. In 2006, he worked with Handwerker through the SURF program on a project for Amkor Technology, one of the world's largest semiconductor chip core manufacturers. The company presented a problem facing the electronics industry without identifying the specific area of failure. In a process much like a forensics investigation, the research team worked to find the problem and its solution. Handwerker says the project benefited from Song's work and the team benefited from his involvement. "He was inquisitive, diligent and enthusiastic," she says. Song pursued the opportunity after taking one of Handwerker's courses, even though he was a biomedical engineering student and the research was in materials science and engineering. "He was interested in exploring different experiences," Handwerker says. "I don't see many students who are willing to take a chance like that." Song turned chances into opportunities, Ken Mullane (BSC hE '10) says. The two became friends while serving on the Purdue Engineering Student Council (PESC ), where Song took a leading role in organizing outreach activities. "Dan was driven," Mullane says. "If he put his mind toward something, it was going to get done. He was good at motivating people and he always set clear goals." One way that Song's parents, Ping and Daphne, hope to continue the spirit of their son's motivation is through the Daniel Song Memorial Scholarship. "He is a part of our life and our only child, and we miss him every single day," Ping says. "He touched a lot of people in his very short life. We wanted to keep his memory alive forever, if possible, and inspire similar qualities in college students who are as equally driven to succeed." Ping says that in the years after his son's passing, he hoped they might be able to create a scholarship, but he wasn't certain that it would be financially possible. Last year, the Indiana Challenge Match program helped to make their dream a reality. The Challenge Match doubled the Songs' gift in order to reach the $25,000 necessary to establish a scholarship endowment. When Ping and Daphne think about the difference the scholarship might make, they hope that "a future student will remember there was a young person like me and, unfortunately, his life was cut short." The scholarship will help meet educational expenses for College of Engineering students. The Songs believe Daniel's memory will also do something beyond that, and encourage students to work to achieve their dreams. 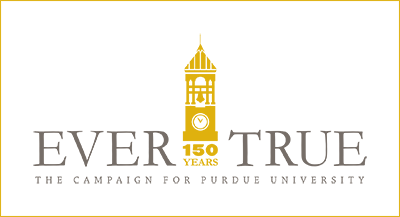 To support this scholarship, please make check payable to the Purdue Foundation and designate to the "Daniel Song Memorial Scholarship." Mail to the Purdue Foundation, 403 W. Wood St., West Lafayette, IN 47907-2007.